Itō made her major debut in the 2007 Shugo Chara! anime, playing the role of Amu Hinamori and Dia. 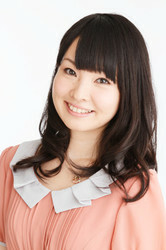 Since then, she has voiced numerous roles in both anime and video games. She has played roles in such anime as Sword Art Online (Yui), Divine Gate (Midori), A Certain Scientific Railgun (Ruiko Saten), Magical Girl Lyrical Nanoha ViVid (Miura Rinaldi), Hanasaku Iroha - Blossoms for Tomorrow (Ohana Matsumae), Haganai (Sena Kashiwazaki), The World God Only Knows (Elysia de Lute Ima), and To Love-Ru (Nana Astar Deviluke). She has also appeared in such games as Final Fantasy XIII (Lumina), Ar Tonelico 2 (Cynthia), and Granblue Fantasy (Sturm). She has also performed theme songs for some of the anime where she played a main role. She also made her first live-action appearance in the Yōjū Mameshiba show in 2009.